Despite safety concerns among students and parents after the shooting Wednesday morning of two USC graduate students from China, administrators, students and law enforcement officials said the area near the shooting is relatively safe. All parties, however, urged students to be aware of their surroundings, especially late at night. Ying Wu and Ming Qu, graduate students studying electrical engineering, were fatally shot around 1 a.m. 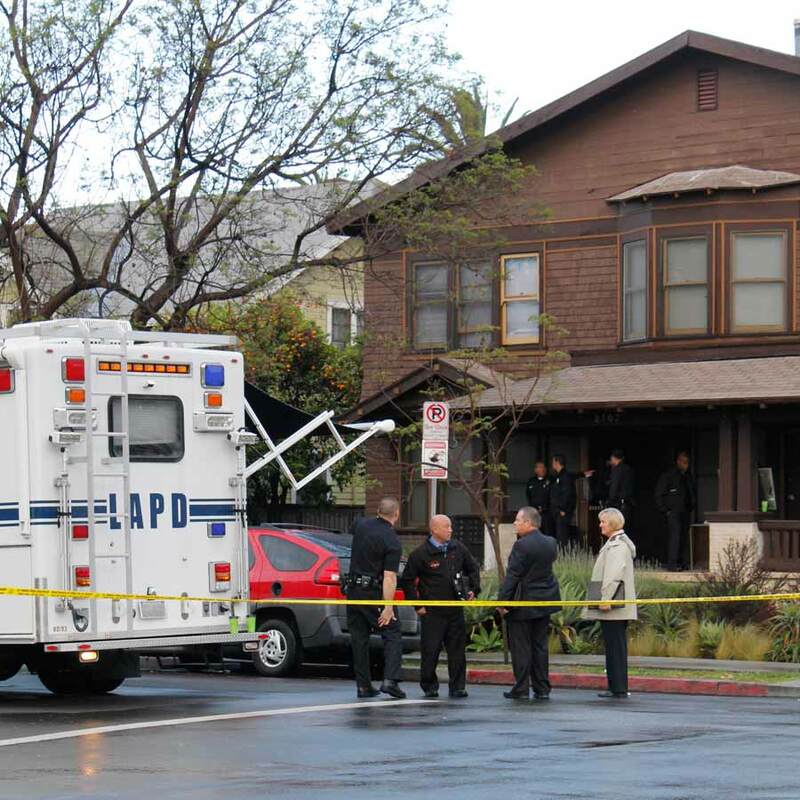 The shooting took place near the intersection of Raymond Avenue and 27th Street, about three blocks west of Vermont Avenue. 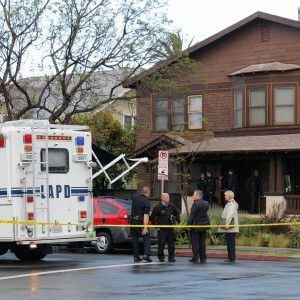 Sal LaBarbera, a Los Angeles Police Department homicide detective supervisor assigned to the case, said the particular incident was an aberration in an area where crime has been decreasing. LaBarbera also said the circumstances — heavy rain, the late hour of night and the hazard lights of their car — made the victims an easy target for anyone looking for trouble. Dept. of Public Safety Capt. David Carlisle said the neighborhood is safe, based on the small number of crimes reported to DPS. Though the department receives calls related to theft, Carlisle said no violent crime has been reported in that area this year. 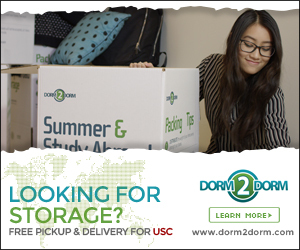 As USC has moved from a commuter school to a predominately residential school, more students have moved to off-campus housing, including the area west of Vermont Avenue. Carlisle said with that change DPS has devoted more resources to the area west of Vermont Avenue between Exposition Boulevard and Jefferson Avenue. “We’ve increased our public safety resources in the neighborhoods where the student population used to be lower,” Carlisle said. DPS, however, does not officially patrol the area where the shooting occurred. Carlisle said DPS does have a few cameras in the community and it is not unusual for officers to be in the neighborhood. USC will consult with LAPD before making any changes to its patrol boundaries, Carlisle said. Josh Durica, a junior majoring in computer science who lives in a DPS-patrolled neighborhood about a seven-minute walk away from the shooting, said he generally feels safe living west of Vermont. Still, Durica said more can be done in light of the shooting. “If a double homicide is happening near our campus, there are more steps that can be taken,” Durica said. Though crime is decreasing in the area where the shooting took place, LaBarbera said the campus still remains the safest location with the most security. Carlisle said the incident highlights the need for students to take notice when walking off campus. These tips include traveling in large groups, not flaunting valuables and taking university-sponsored transportation, such as Campus Cruiser. Mark Green, an LAPD sergeant for community relations, echoed Carlisle’s caution, saying students should always remain aware of their surroundings regardless of their location. Faaria Kalam contributed to this report. The incident could be orchestrated , info is not clear but what is cultural melting point’s influencing state of being, Oriental or what not. 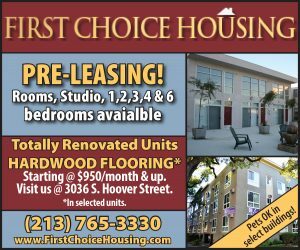 why is this article understating the dangers of USC area? while USC area may not be worse than other parts of downtown LA, downtown LA is a lot worse than wealthier suburban area where many of the students are from. USC area is the most dangerous area I have ever lived in, and I am sure most of students would agree with me. there has been 4 homicides just last year within a 1 mile radius of 2700 raymond ave. and 22 in the past 5 years. I currently live 10 miles from university park campus, in a midle-middle class, predominantly asian community. there has only been 1 homicide last year and 5 in the past 5 years. and i even got my car stolen just last year. i definitely do not feel safe in my neighbourhood but it is a haven compared to USC area. so even though there has “only” been 4 homicides, there’s a lot more theft and robberies occuring around USC. not to mention, it seems like over half of them involve a weapon such as a handgun or knife. even if no one was hurt, i would be pretty darn scared if someone tried to rob me by pointing a handgun or knife at me. the area is NOT safe. Was it Mark Twain who once said there are three kinds of lies: lies, damned lies, and statistics? Notice how people often refer to south central LA as being a “relatively safe” area. Relative to what? Mogadishu, Baghdad, or Ciudad Juarez? They also quote crime statistics. Violent crime is going down, blah, blah, blah, etc., etc… So is it safe to roam the streets surrounding USC? That’s the $64,000 question. People in their late teens and early twenties have a sense of invincibility that bad things only happen to other people. Statistically speaking, the vast majority of crimes against students are crimes of opportunity. They are soft, easy targets, especially those who wander around drunk at 2 o’clock in the morning after another party night. Yes, every once and a while a student will get killed by a bullet or run over by a hit & run driver. Statistically, it’s not a major “problem” unless, of course, you are the victim or the family and friends of the victim. So what’s a student to do once they are free from the watchful eyes of their parents? There is no amount of public safety officers, police officers, or cameras in the community that will prevent criminals from preying on students. Bottom line, it’s really up to the student to use that intelligent brain of theirs to avoid becoming the next statistic. Stay safe. I took flowers for the victims yesterday, I saw many students walking to class. 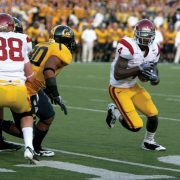 USC and the LAPD must provide security. There are many beautiful homes there. Camera technology could help them patrol every corner of the USC comunity. Call me a scaredy cat but 2 murders, 5 robberies, and 1 sexual battery in 4 months sounds pretty frightening to me!! and clearly, students are NOT taking enough precautions if i am still receiving crime alerts about MULTIPLE students getting robbed on a weekly basis! so yes, it is a dangerous area. even though there were “only” 4 homicides last year, there are plenty of robberies and theft going around to make the area VERY unsafe. The other 7 e-mails they sent were all Incident Resolution reports. So what were you saying about “multiple robberies every single week”? 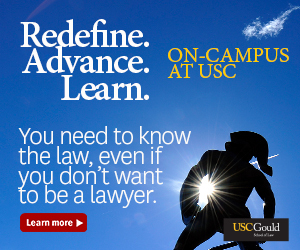 Do NOT become a lawyer! USC is in the middle of Los Angeles. Obviously there are going to be concerns about crime and safety. But comparisons of the area around USC to “the jungle,” “Mogadishu,” “The Wild West,” “a war zone,” “Baghdad,” “Ciudad Juarez,” or “a shooting range,” are disingenuous at best. What is disingenuous is USC stating to prospective applicants and their parents that crime is not common in the area when they regularly send out crime alerts to current students! i’m not really sure if this is beneficial, to understate the danger of the area. if someone came from a city with little to no violent crimes in the past few years, this area is going to be viewed as dangerous. USC area is the worst area i have ever lived in, in my entire life. and why even stop at violent crimes? aren’t robberies and theft bad enough? with 4 homicides JUST last year, and 22 in the past 5 years within a ONE MILE radius of 2700 raymond, i’m not sure you can say the area is safe. my current address, a middle-class income, predominantly asian community, only has 1 last year and 5 in the past 5 years. and i had my car stolen just last year. needless to say, i don’t even feel that safe in my own neighbourhood. especially compared to where i was prior to USC. but compared to downtown LA? it’s a haven! WHILE USC area is not worse compared with the rest of downtown, DOWNTOWN LA is particularly worse, compared to the suburbs or wealthy communities where many students are from.